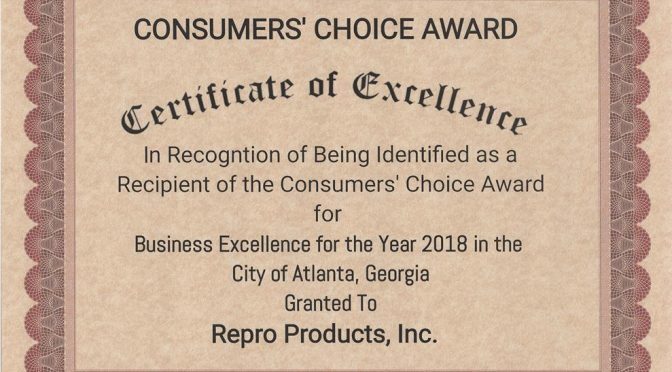 Repro Products, Inc. was recently presented with the 2018 Consumer’s Choice Award (CCA) for office copiers/independent dealers. Recipients of the CCA represent “Best in Class Businesses” in the quality of their service, value, professionalism and integrity. The Consumers’ Choice Award is unique in that winners are not chosen by a panel of judges but by consumers themselves. Surveys were conducted to in each industry sector to determine which companies were voted the best in their field. For over 25 years the Consumers’ Choice Award has been considered a business seal of excellence. For recipients, the award not only constitutes the crowning achievement of their efforts, but also represents the knowledge that they have earned the trust and loyalty of consumers. 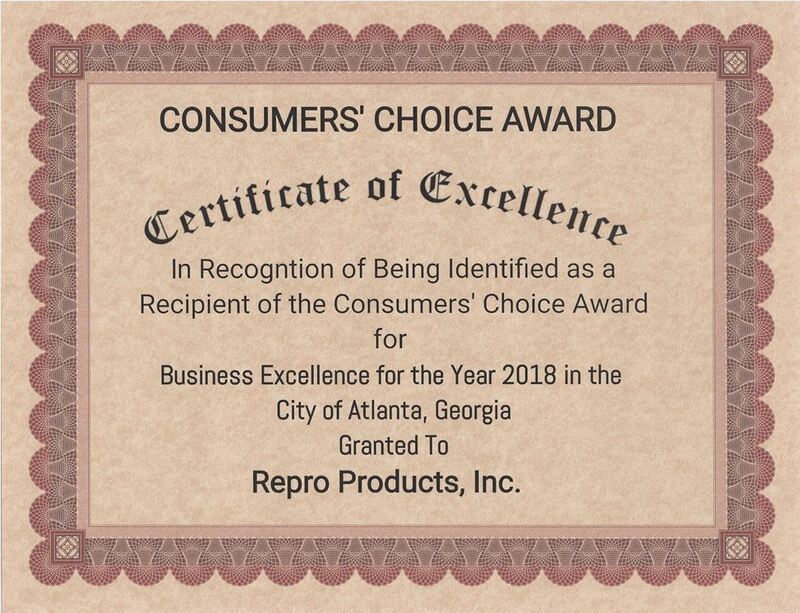 We are very honored to receive this award and will continue to provide top-notch service to our consumers. View our award here.